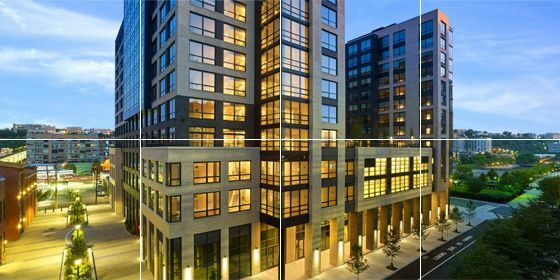 Park + Garden is a 12-story luxury residential building located at 1415 Park Avenue, Hoboken, NJ. G/BA provided commissioning services to satisfy the LEED Fundamental Commissioning of Building Energy Systems and the LEED Enhanced Commissioning credits. Park + Garden, part of the Bijou Properties portfolio, is a two-tower, 12-story residential building erected in 2015. G/BA staff provided commissioning services for the facility, which is pursuing LEED Gold certification. Heat pump hoses were of an excessive length and were kinked, causing obstruction of flow. Control valve not installed on condenser water return at heat pump. Missing fire stopping on fire-rated shaft. Upon completion, G/BA was also involved in providing training for the owner and operators on the building systems installed.